Apple's reluctance to compromise on Touch ID may prevent the upcoming iPhone from launching on schedule. The company sees the feature as a prerequisite for getting rid of its device's physical buttons. Apple's planned mass production of its upcoming button-less iPhone has hit a bit of snag. You see, the company really wants to integrate Touch ID underneath the phone's rumored "edge to edge" OLED display. The problem is that its supply of fingerprint sensors is low. The sensors are AuthenTec-based (Apple bought the company in 2012) and developed in-house, and Apple doesn't want to go to an outside vendor to acquire different sensors. It's a real dilemma that the company feels it needs to solve soon. Cowen and Company analyst Timothy Arcuri, in a research note obtained by MacRumors, believes that Apple has three options for dealing with the shortage. 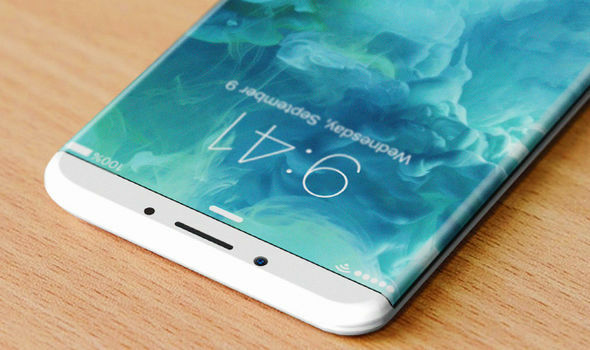 The company could forego including Touch ID in the new iPhone and rely solely on facial and iris recognition. Arcuri cites security risks and issues with Apple Pay as making this option unlikely. A second solution is to move the Touch ID sensor from behind the display to the back of the device. This would make it similar to the way fingerprint scanners are located in Samsung and LG smartphones. This solution is neither optimal nor user-friendly, according to Arcuri. The final option involves Apple delaying production of the larger 5.8-inch iPhone, while still announcing it alongside its updated iPhone 7s models in September. Arcuri says that Apple should have a decision in mind by May, when it finalizes its fingerprint sensor specification. If its in-house fingerprint solution isn't feasible by then, it will most likely choose to delay production of the larger iPhone instead of compromising on Touch ID's location or inclusion.